The Village of Mythndale, nestled just south of the City of Britain and east of the Britain Public Moongate, is known for its rareities and friendly faces. 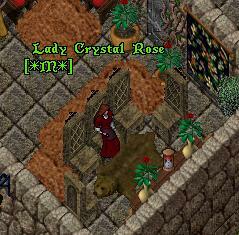 It’s name means Mist Meadow by the Sea and was founded by Lady Crystal Rose in July of 2000. Since then, it has grown noticeably, housing a stable, a town hall, a smithy and fishery, along with a museum of beautiful rares and artifacts. 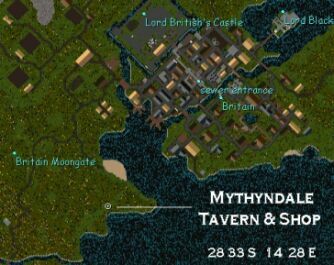 To the west of the Mythndale Tavern, which sits in the center of this rustic sea-side hamlet stands the Temple of Hope, where all are welcomed. On the rocky shores to the east stands the tower of the Mythndale Guards. 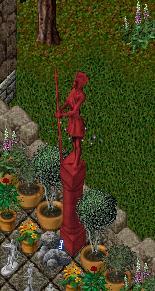 This small structure holds ancient history, for the tomb of the Ancient Paladin is housed there. The story of this holy paladin is kept in tomes which may be read by all who enter. 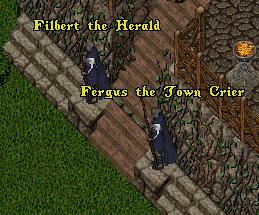 Directly in front of the tavern sits the Town Hall, where Fergus and Filbert guard the entrance. No two funnier heralds in the realm can be found! To the north stands Mythndale’s Jailhouse, headed by the village’s protectorate, Multani. On the north shores of the town lays the sprawling manor of the town’s Mayor, Eve LeRieux, and her beloved Elven Prince, Luthien. 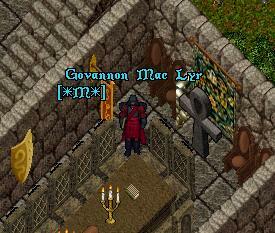 Standing stately next door to the manor is the Halls of Lyr, home to Mythndale’s Steward, Govannon Mac Lyr. 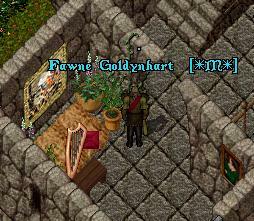 Just southeast sits the quaint home of Fawne Goldynhart, beloved of Govannon Mac Lyr and Vice Mayor of Mythndale. The town itself has weathered many battles; those against The Clan of Vampires, the Wraiths, and even The Crusaders, a band of fanatics led by the Mythndale Knights’ former leader, Odin. Yet it continues to stand proud, through wars and changing times. Many events can be seen happening here, from auctions, to parties to storytelling contests. Corinthia Seleta, the Tavern Manager, has been known to hold high stakes gambling at the tavern, leaving standing room only. 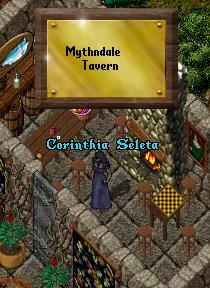 All are welcomed to Mythndale, for visits or even assistance if need be. Staff is present most times of the day and evening and are more than happy to assist any who are in need. Stop by for an ale, a night’s rest on the second floor of the tavern which houses the town’s inn, or to the smithy for repairs. We hope to see you soon!